Australia is home to many amazing and unique animals, plants, and naturally occurring phenomenons - one of which is its pink lakes. Like many of us, scientists have wondered what turns the lakes the vivid color of bubblegum. Turns out it’s a combination of high salt content, several salt-loving bacteria, and different types of red and pink algae that give the lakes their unique shade. 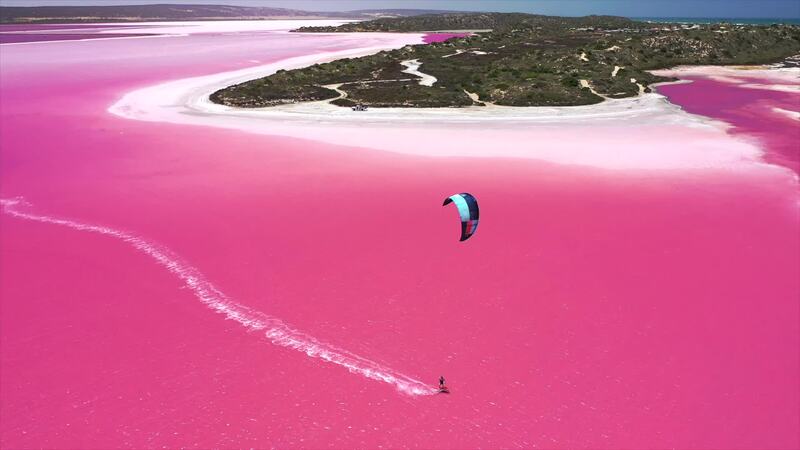 Creative pilot and adventurer Isabellefabre does what she does best while visiting one of these lakes - windsurfing the fuchsia waters. Description: Bubble gum factory !